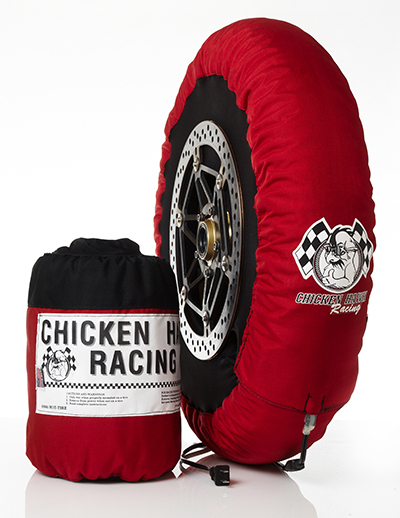 Chicken Hawk Racing Tire Warmers Giveaway! Thanks to our partners at Chicken Hawk Racing Tire Warmers we are able to give away a free set of Classic Standard Tire Warmers! The warmers retail for $425! It’s easy. We are going to pick the names from riders who preregistered for the October 14th Track Day at Palm Beach International Raceway and the November 4th track days at Palm Beach International Raceway. Preregistered means you need to be signed up through the website for either the October 14th or November 4th track day. Day of registrations do not count as an entry. We will be putting the order numbers from each person preregistered in a program and picking a number at random. If you preregister for both track days (October 14 and November 4th) you will increase your odds of winning as you will have more order numbers in the pool! We are very excited to have the top name in tire warmers! Good luck to everyone!